Margot Gayle founded the Friends of Cast-Iron Architecture and spearheaded many preservation campaigns including the effort to preserve the Jefferson Market Courthouse. Gayle was especially dedicated to the preservation of cast-iron structures. She founded and participated in several preservation-related organizations. She also wrote a column in the Daily News entitled, “New York’s Changing Scene,” for seven years.4 Margot Gayle passed away on September 28, 2008, at the age of 100. After her first victory in saving the Jefferson Market Courthouse clock, and the building itself, Gayle's activism continued. Gayle was involved with a group called The Friends of the Old Sun Clock, an organization that sought to restore New York's public clocks. She served as the treasurer of the organization. She also helped to create the official position of New York City Clockmaster. On May 16, 2000, Margot Gayle received the Annual Lifetime Achievement Award by Commissioner Bernadette Castro of the New York State Office of Parks, Recreation and Historic Preservation. The award commemorated her long and distinguished commitment to preserving cast-iron architecture in America. Through her tireless efforts, the history of cast-iron architecture has been well documented and many of the most important examples of cast-iron construction have been protected. In 1998, Margot Gayle and her daughter Carol published Cast Iron Architecture in America: The Significance of James Bogardus. This work traces the history of cast-iron architecture in the United States and discusses the man who pioneered its development. Her last victory was obtaining landmark status for the Bennett Building in 1995, a cast-iron structure on Nassau Street, which she said is the largest iron-front building in the city. The New-York Historical Society has an extensive collection of Gayle's papers, focused on her later preservation activism. 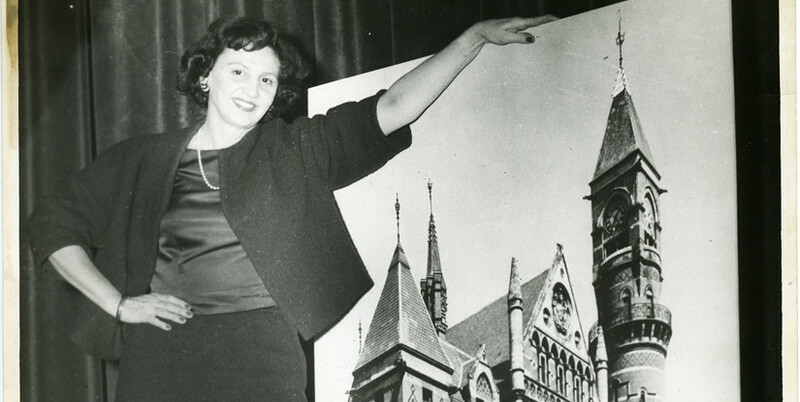 Click here for the NYHS's "Guide to the Papers of Margot Gayle." The Jefferson Market Branch of the New York Public Library has a select number of Gayle's papers. Charles Hosmer, Interview with Margot Gayle. Under the auspices of the Eastern National Park and Monument Association. 23 June 1982. University of Maryland Libraries Collection. Joyce Walder, “Public Lives; a Polite Defender of Soho’s Cast-Iron District,” The New York Times, 29 May 1998. “About Us: What is The Victorian Society in America?” Victorian Society in America. Article retrieved 16 March 2016. Nadine Brozan, “Chronicle,” The New York Times, 31 January 1997.